PUBG will be officially launch in china on December 1, 2017 tomorrow. Tencent and PUBG corporation co produced the new trailer of the game. Featuring some Chinese and foreign actors/actresses as some of the players in PUBG, you will be also noticing some appearance of the in game item like Maps, Medkit, Energy Drinks, Bags, First Aid, Trucks, Arsenal of weapons and their costumes. Still unknown if Chinese players will be able to join other region as there are some restriction and the game is modified for the Tencent’s version of the game. PUBG will be officially launch in china on December 1, 2017 tomorrow. 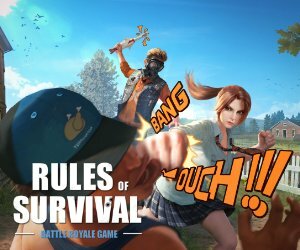 Tencent and PUBG corporation co produced the new trailer of the game. Featuring some Chinese and foreign actors/actresses as some of the players in PUBG, you will be also noticing some appearance of the in game item like Maps, Medkit, Energy Drinks, Bags, First Aid, Trucks, Arsenal of weapons and their costumes. https://youtu.be/yShovvydCk8 Still unknown if Chinese players will be able to join other region as there are some restriction and the game is modified for the Tencent's version of the game. The trailer is so sick soo soo sick. I totaly loved the trailer. By the look of the trailer the movie is gonna be more sick. Seriously I cant wait much. 6 or 5 monthes later the movie is gonna reales and I am gonna watch first day first show. I am a huge fan of marvel studio moviem recently they realesd thor raganarok( spelling is wrong maybe) . And now this trailer cant wait man cant wait for too long. Hopefully u guys liked the trailer if you havent go and watch the trailer and like it. I will definetly suggest you guys to watch it have a nice day.